Hi Friends! I hope you all had a wonderful weekend. 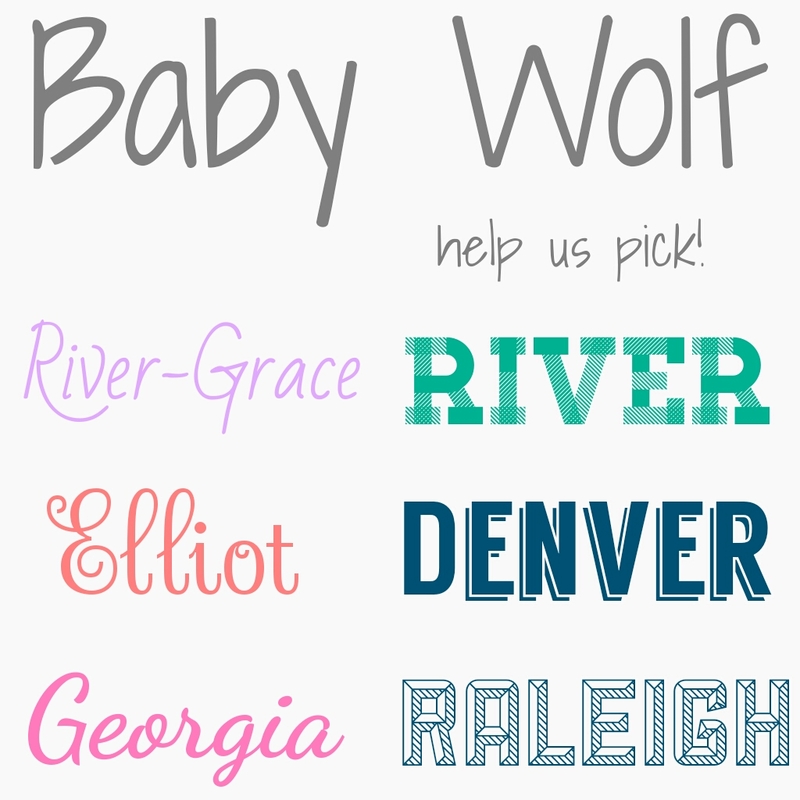 Week 13 wasn’t anything too exciting but it’s also nice to have another week under our belts and to be that much closer to meeting Baby Wolf! 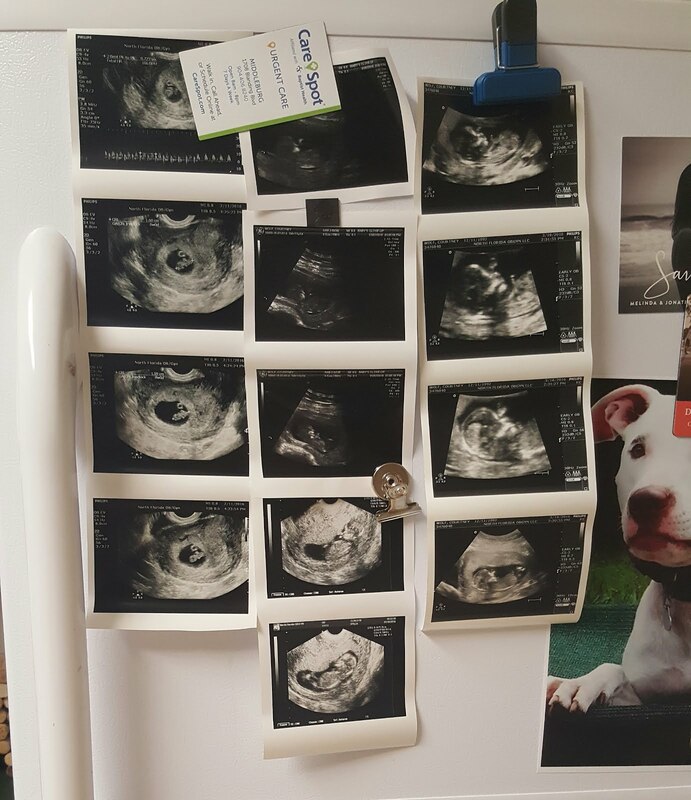 My Due Date: Still September 20th, 2016 :) Aka, exactly 26 weeks if you’re counting (assuming the babe will come on time)! What fruit is the baby this week? 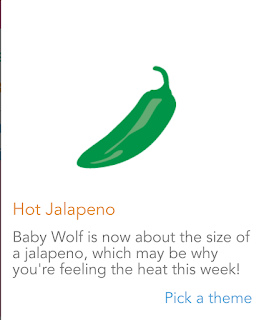 Baby Wolf is currently a hot jalapeño or a peach! 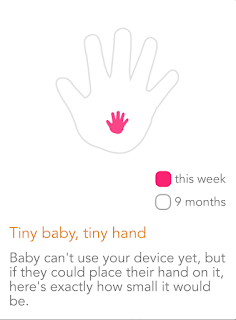 Aka, babes is about 0.81 ounces and almost 3 inches. He or she is now almost doubling in size each week! Sometimes it definitely throws me off and can be odd to imagine my baby as a fruit because it’s not shaped like an actual peach or jalapeno (at least we hope). Next Appointment: So many appointments!! My 16-week checkup is on April 7th and I have an elective ultrasound on April 11th to determine the gender! I also have to go get blood work done between weeks 15 and 18 so that’ll be mixed in within the next few weeks. I am happy to announce that I am now a blood giving pro! :) As the patient that would formerly cry when told I had to get my finger pricked or pass out when giving blood, I’m proud that I can now do it without a single tear! I may still turn green and get super pale (according to my nurse) whenever they’re sticking me, but I’ll take that over passing out any day. Gender: 4. More. Weeks. I’m still holding tight with thinking it’s a boy! We’re also still debating names so hopefully we can decide on one within these four weeks. Exercise: Still going strong with daily walks while at work and after work with Dakota. 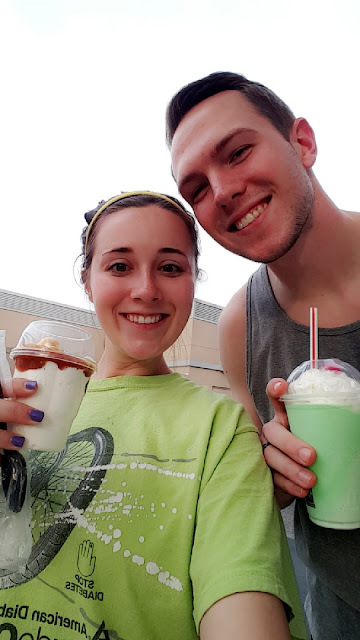 Our new favorite thing is walking up to McDonalds for a little pre-dinner ice cream! I think it’s totally justified considering it’s about a 4.5 mile walk. Stretch Marks: Still no bump, so still no stretch marks! Maternity Clothes: Urgh… this is still a very sensitive subject for me. Thankfully, I had a few days off from work this week so I didn’t have to get dressed every day. The days I did leave our house, I just made do with my regular pants and the good ole hair bow trick to hold them up. Note to future mamas: clear elastics do not work for this and will most definitely break after you indulge in an icee at the movie theater… Good thing my hips have grown enough to hold up my pants even when they can’t button ;) I’m still hopeful that a bump will appear soon and this answer can be filled with fun outfits and tips on how I’m dressing said bump (fingers crossed)! Sleep: As someone who always sleeps on my back and is now forced to sleep on my sides, sleep is still super uncomfortable… However, I’m planning on buying one of those obnoxiously huge pregnancy pillows within the next week so hopefully sleeping and I can become best friends again! Food Cravings: Still just anything cold and sweet! Both of my besties who had this same craving, ended up with beautiful baby girls… we’ll have to see if the legend will hold true for me! Movement: Still no noticeable movement but hopefully that’ll change in the next few weeks! I can’t wait for those first sweet little kicks! What I’m Loving: I have a complete and utter obsession with ultrasounds and I absolutely love every time I have one. 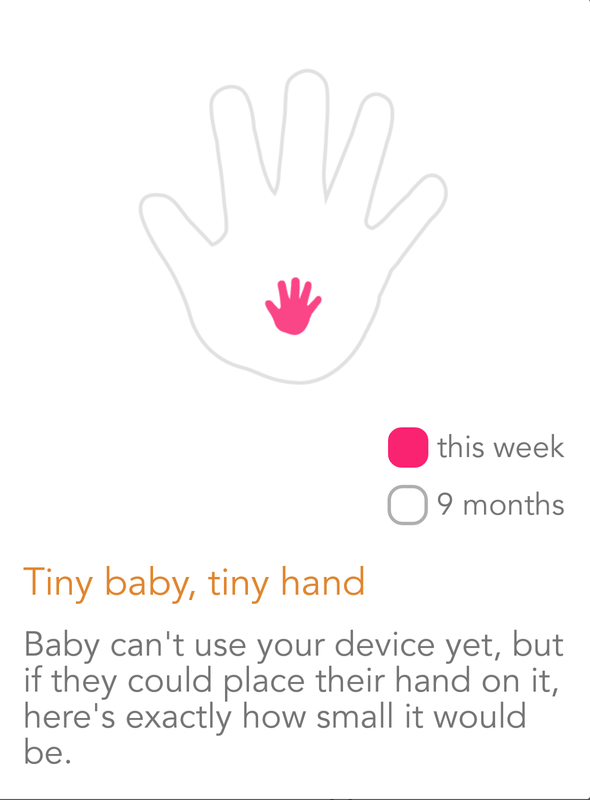 It is just so surreal to get to see that little babe and what it’s doing in there. At my last one, babe was sleeping and being quite uncooperative with the technician. She tried having me cough, laugh, and even shaking my stomach but the little one was sound asleep and not budging from its comfy position. It also had its hands up near its face as it always does! All of our ultrasound pictures are beginning to look the same because the babe always has its legs pulled up and its hands at its face… It absolutely melts my heart. It’s so cute to be able to see its little personality and just imagine exactly who it’ll be once it’s finally born! Symptoms: Basically the same ones that have been lingering for the past 8 or so weeks… constant burping (ew), stomach pain, hip discomfort, etc. I was hoping my nausea was subsiding but one day without medicine sure proved me wrong! On a positive note, I do think my hormones are somewhat balancing out and I’m having less of those random crying/meltdown moments so I’d consider that a major win for this week ;) Thank goodness this little babe is so totally worth it! Best Moment This Week: I had a very relaxing week that was much needed after all the sickness last week! I am finally feeling better (thanks to everyone who checked on me) though I, unfortunately, passed on my sickness to Dakota :( I’m hoping that a good, thorough Clorox and Lysol cleaning tonight will rid our house of this nasty illness. Besides just enjoying my time off, the best moment this week was the same as last week- having another ultrasound and spending that time marveling at the little life we created. I still can’t believe just how blessed we are. 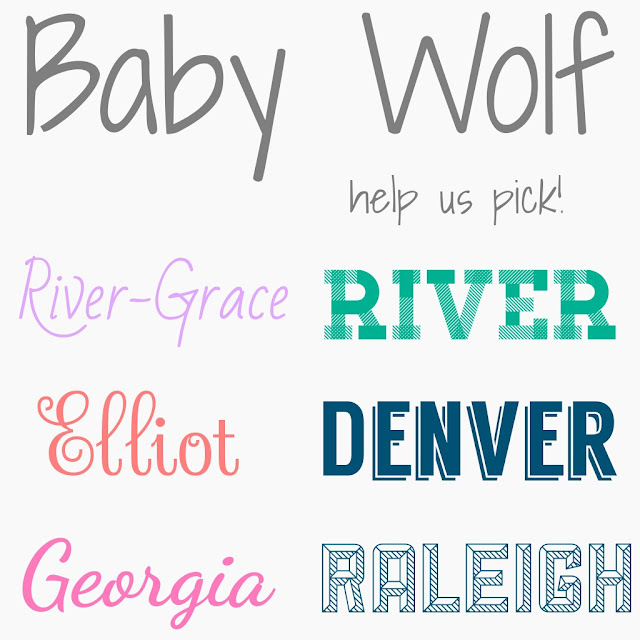 We can’t wait to finally meet our little Baby Wolf! I want to end with another HUGE thank you to every single person that celebrated this new life with us last week! It makes this time so special to have the support and love from those we care so much about.